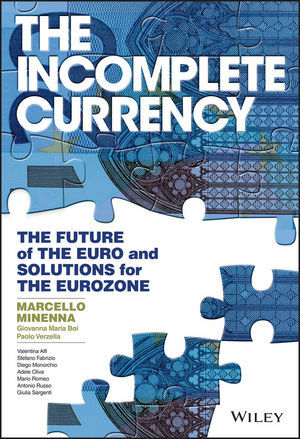 The Incomplete Currency is the only technical — yet accessible — analysis of the current Eurozone crisis from a global perspective. The discussion begins by explaining how the Euro's architecture, the relationship between finance and the real economy, and the functioning of the Eurosystem in general are all at the root of the current crisis, and then explores possible solutions rooted in fact, not theory. All topics are analysed and illustrated, making extensive use of examples, tables, and graphics, and the ideas presented are supported by data sets and their statistical elaborations throughout the book. An extensive digital component includes numerical simulations of public debt dynamics for different Eurozone countries, evaluations of the sustainability of programmes like the Fiscal Compact, and stress tests on the ability of institutions like the ESM to cope with major liquidity crises, and the spreadsheets used to calculate data in the book is provided for readers to access for themselves. MARCELLO MINENNA is the head of the quantitative analysis unit at CONSOB (Commissione Nazionale per le Società e la Borsa, the Italian Securities and Exchange Commission), where he develops quantitative models for surveillance and supports the enforcement and regulatory units in their activities. Acknowledged by Risk magazine as the "quant enforcer" and the "quant regulator," he is the author of several publications, including the bestselling A Guide to Quantitative Finance.